The super lightweight stonecast planters range are a fraction of the weight of planters in other materials. They are ideal for areas that have weight restrictions such as balcony's or apartments. Due to the lightweight material they are possible to move around. Fibreglass super lightweight planters. 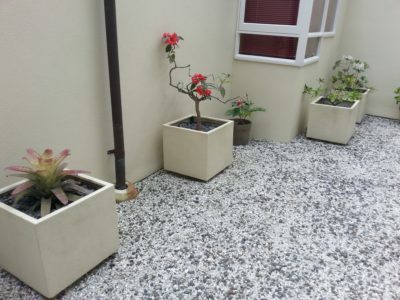 All planters have a solid plaster-finish and are constructed from steel reinforced sand cement resin and fibre with a built in shadowline plinth base. Available in Cream and Natural Grey.